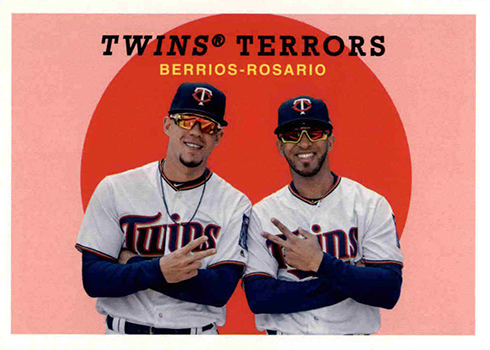 Jump directly to the 2018 Topps Archives Baseball checklist and team set lists. 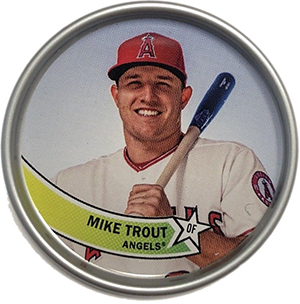 2018 Topps Archives Baseball is arriving a little later in the season. 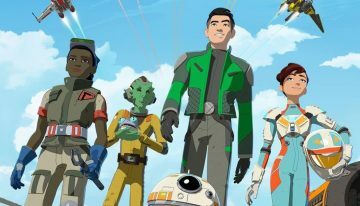 But it’s still bringing with it a retro vibe that covers several decades and spans multiple generations. 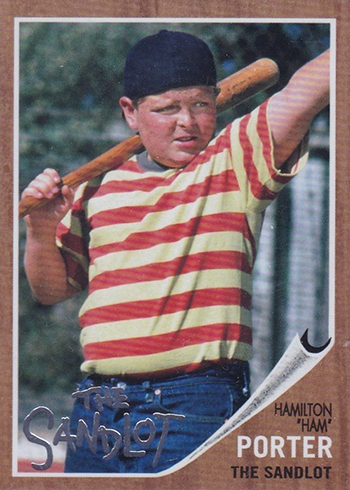 And this time it’s bringing along the stars of The Sandlot for some inserts and autographs. 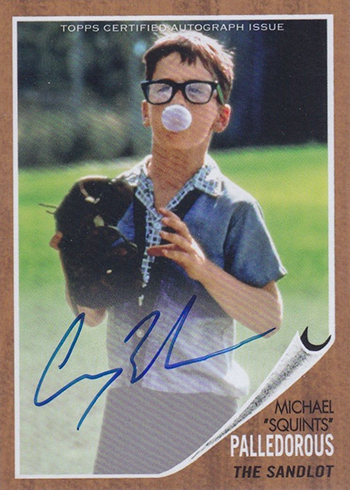 Sticking with tradition, hobby boxes have a pair of on-card autographs. 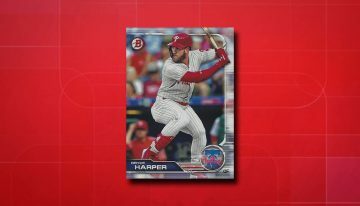 The 2018 Topps Archives Baseball main set has 300 cards. Like usual, it’s split between three past baseball designs: 1959, 1977 and 1981. Each has 100 cards. On top of these are a pair of ten-card subsets: 1959 Topps Combos and 1977 Topps Turn Back the Clock. Both of these are moderate short prints. 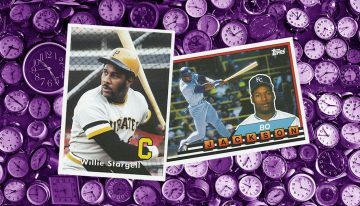 Parallels for the first 300 cards include Purple (/175), Silver (/99), Blue (/25) and Gold Foil (1/1). There are also a couple of stealth parallels that are dependent on the card’s design. 1959 cards (#1-100) have Venezuelan Back, that are more brown on the reverse than normal. 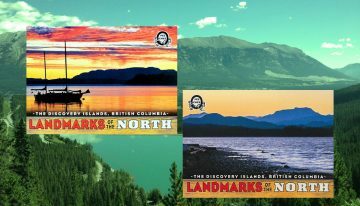 1959 and 1977 (#101-200) cards can be found without the facsimile signature on the front. 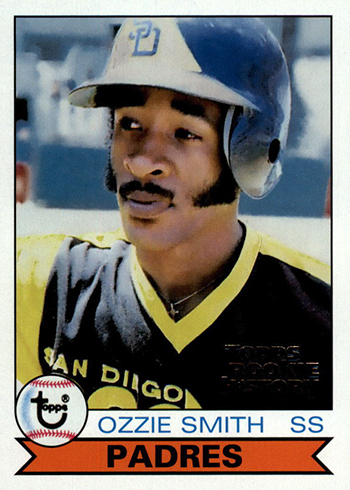 Finally, there are Topps Logo Swap parallels for 1981-style cards (#201-300). 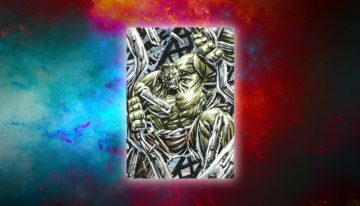 A handful of cards have variation versions as well. 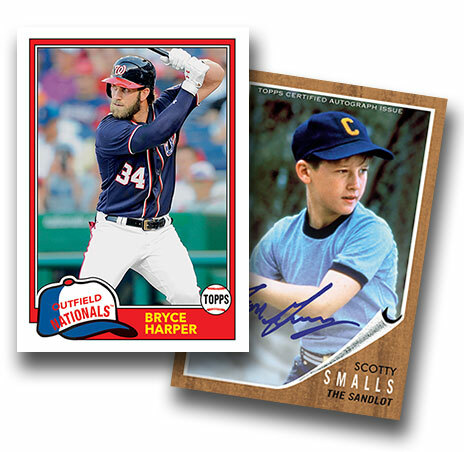 Over the past few years, baseball movies have found a home in Topps Archives. There was Major League in 2014 and Bull Durham in 2016. 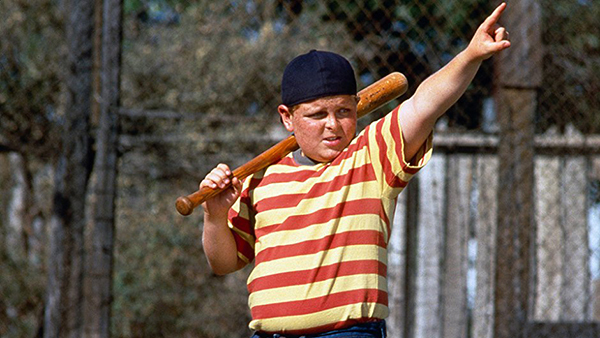 Now, it’s The Sandlot, which is celebrating its 25th anniversary in 2018. 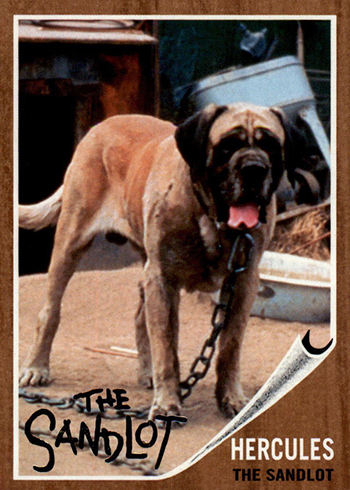 2018 Topps Archives The Sandlot cards start with a set of inserts highlighting characters from the movie. They use the 1962 Topps Baseball design. 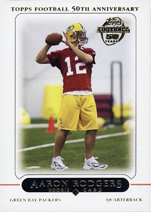 Inserts have Green (/99), Blue (/25) and Gold Foil (1/1) parallels. 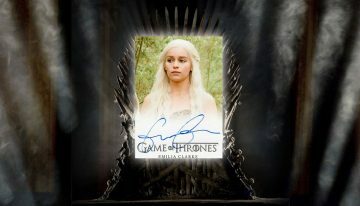 Autographs are also randomly inserted with Silver (/99), Blue (/25) and Gold (1/1) versions to go with the regular ones. 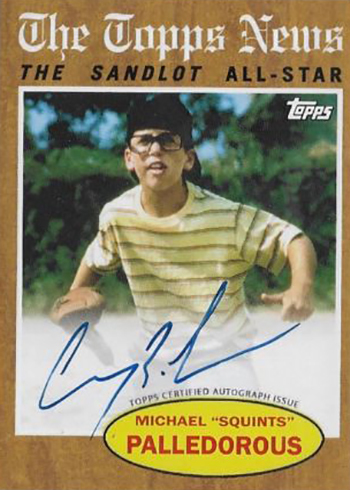 Topps also had Chauncey Leopardi (Squints) at their booth during the 2018 National Sports Collectors Convention in Cleveland. He signed an exclusive card that noted the event on the back. 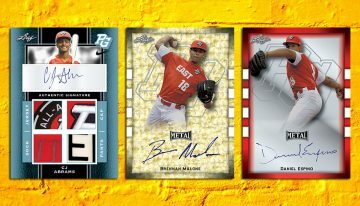 Fan Favorites Autographs are back. 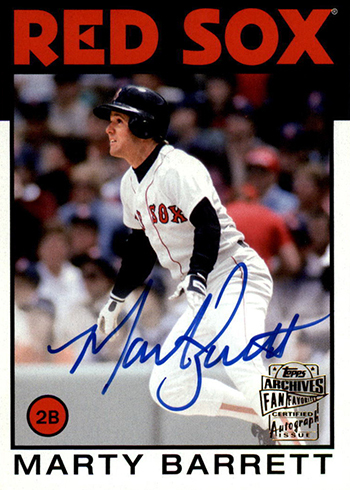 Living up to the theme, many of these go back in time to offer signatures from popular players. But they’re not always the biggest names and sometimes you have to look locally to understand the appeal they had. Active players are also part of the mix. 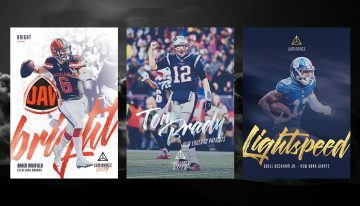 These have on-card signatures and come with Purple (/15), Silver (/99), hobby-exclusive Blue (/25) and Gold (1/1) parallels. 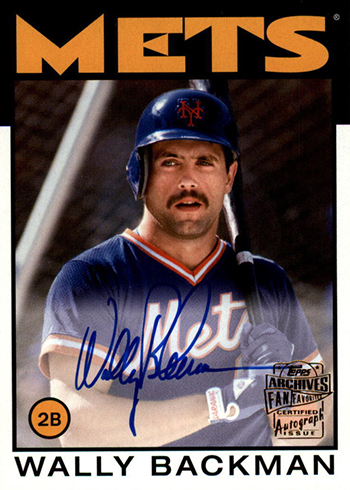 1993 Topps All-Stars Dual Autographs go back 25 years from a design perspective to offer sigs from a pair of players. 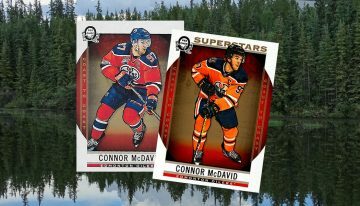 Base versions have 25 copies each while Gold Foil parallels are one-of-ones. 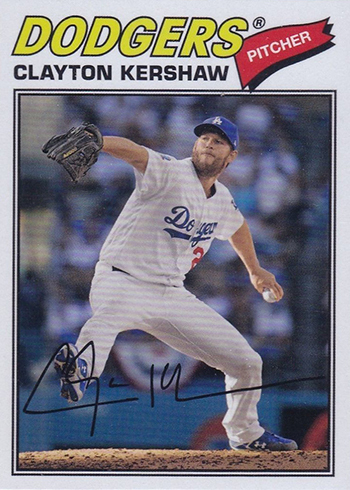 Topps Originals (/10) are old cards from the 1950s through the ’90s that have since been given the autograph treatment. 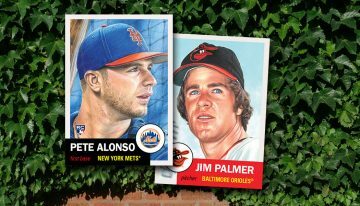 2018 Topps Archives Baseball has some additional insert sets that borrow from various years (or a mix of several). 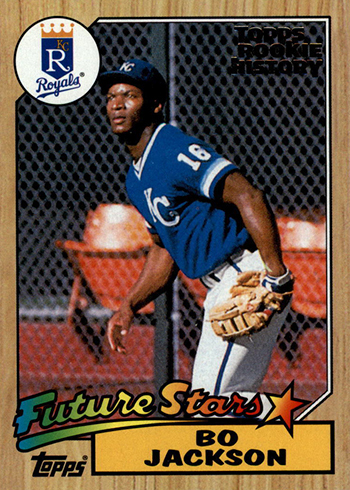 It starts with 1981 Topps Future Stars. 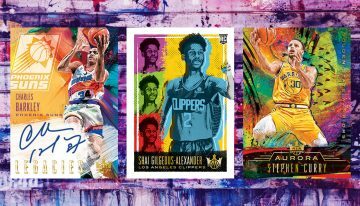 These bring together three rookies with the 37-year-old design. 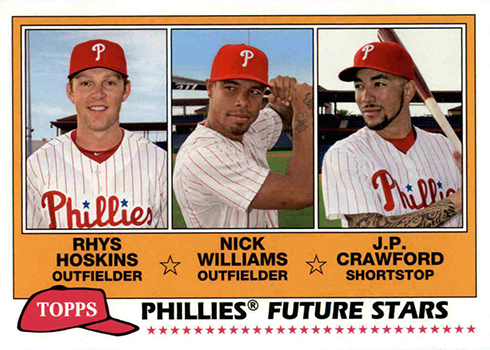 Coming Attraction takes it to a 1993 subset to spotlight this year’s rookie crop. Coming Attraction Autographs are also available. 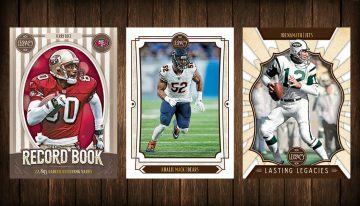 These come numbered and have Blue (/25) and Gold Foil (1/1) parallels. 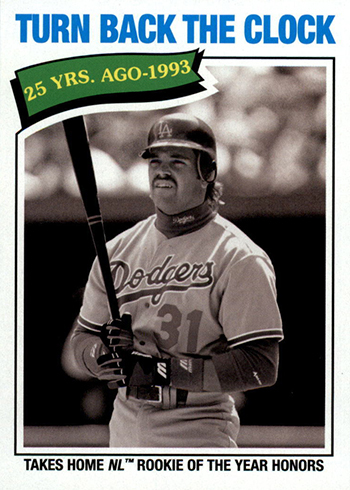 In case you’re looking for rookie reprints, they’re in Topps Rookie History. These come with an insert note on the front so there’s no confusion about them being originals. Parallels come with different foil stamp colors including Purple (/150), Green (/99), Blue (/50), Red (/10) and Gold (1/1). 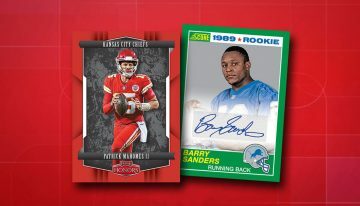 Topps Rookie History Autographs are only in hobby packs. 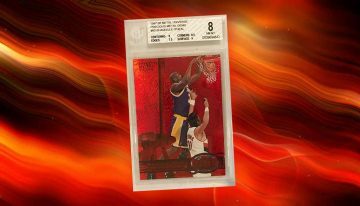 These land one per case and have Red Foil (/10) and Gold Foil Stamp (1/1) parallels. 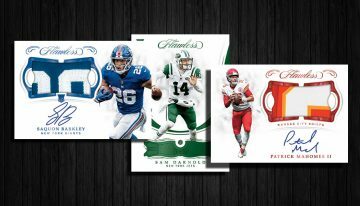 Retail value/blaster boxes come with a pair of exclusive Topps Coins. 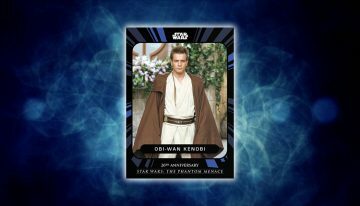 Please note that only the cards found in retail are currently listed. 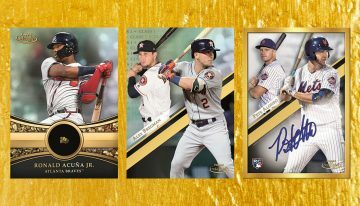 An update to the 2018 Topps Archives Baseball checklist is expected when the hobby version releases in September. 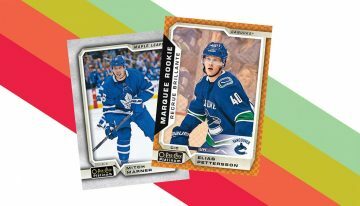 Odds are listed for blaster and retail value packs. More will be added should they become available. 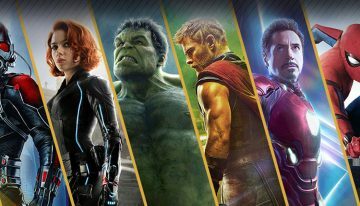 Check out a detailed guide and know what to look for. 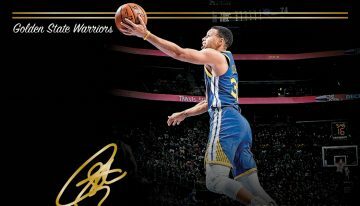 Available only during signing at the Topps booth during the 2018 National Sports Collectors Convention in Cleveland. 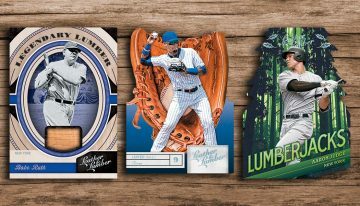 Want to know what cards your favorite team has in 2018 Topps Archives Baseball? Here’s the checklist broken down by team. Scroll through or click below to go directly to that team. 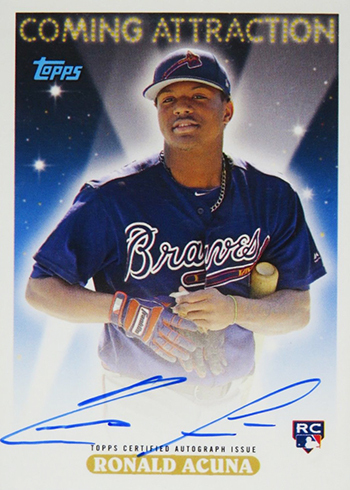 Topps Rookie History Cal Ripken Jr.
Topps Rookie History Autographs	RHA-CRJ	Cal Ripken Jr.
Coming Attractions CA-12 Ronald Acuña Jr. FINALLY 1981 is getting a little love. 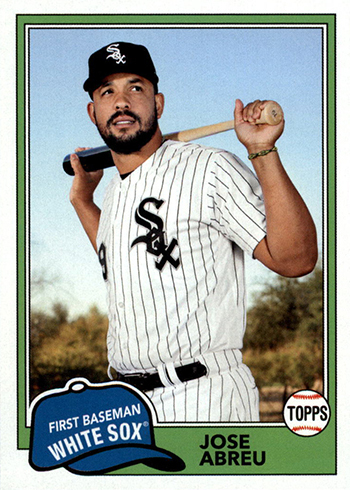 Topps has done the inferior 1980 and 1982 designs multiple times in several sets, but 81 has never gotten used. 1959 and 1977 are both great too. I might actually have to pay attention to Archives this year. Surprised by the August release date. 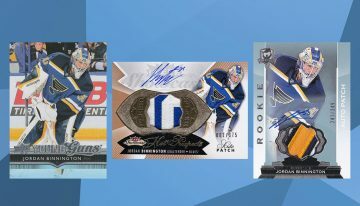 I sure hope that they dont have the autos like last year. I pulled the ball hog that snuck into the military game. 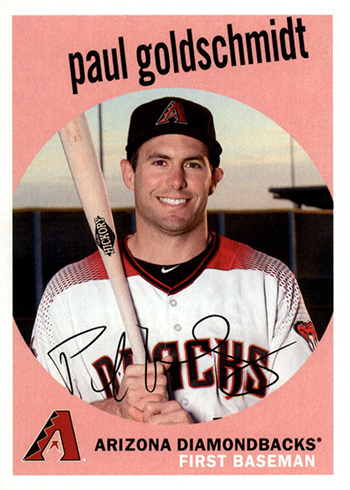 @Gregg — Panini had Bad News Bears cards (and inserts) in 2013 Golden Age. @Ryan Cracknell yes i know but i wish they had the whole team. 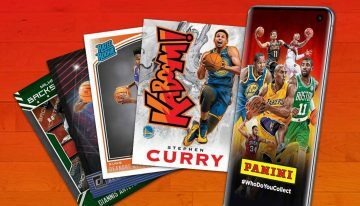 @Gregg – Curious, why is it “insulting” then that they went with a movie that doesn’t have non-promo cards versus one that’s been done before? 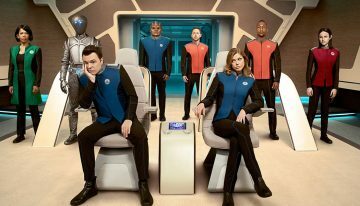 I second Dax. 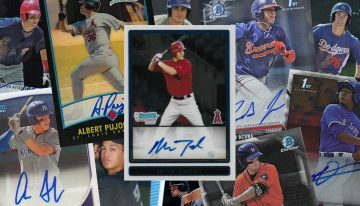 I look forward to Topps archives every year, but The autograph lineup last year absolutely sucked. 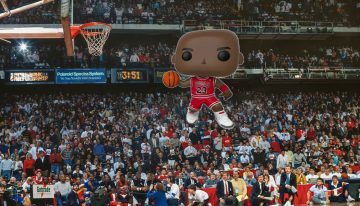 I yearn for the days of 2002-2005 Fan Favorites, but if they can put together a decent checklist like they did in 2012-2015, 2017 will be easy to forgive. 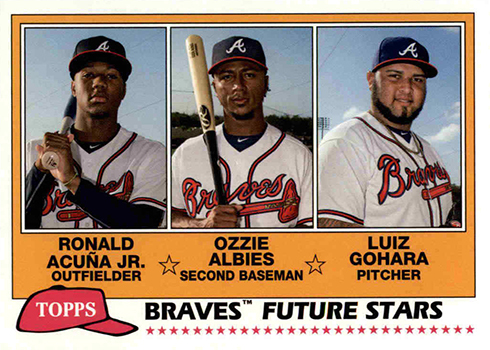 Love the years they’re using, bummed Javy isn’t included. Excited nonetheless though! Love this set. On Friday I purchased 3 rack packs at my local Wal-Mart. I got a missing omission auto of Phil Rizzuto and the biggest hit was a Topps Originals auto of Ivan Rodriguez. just opened a pack of these and noticed the card 101 Francisco Lindor has him listed as outfielder on the front of the card. I’m sure that’ll just end up being an uncorrected error. 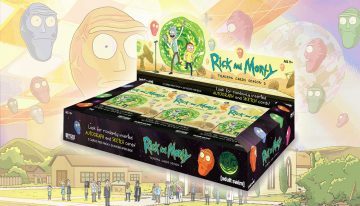 I would like to say that there are no hobby boxes or packs that are in the retail stores (Wal-Mart and Target). 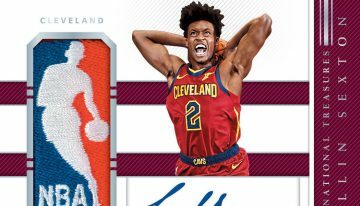 This does just give the average collector a disadvantage to autographs and many cards that are not in the basic retail packs. 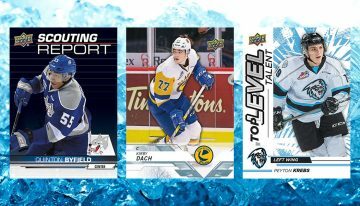 Kids nowadays cannot afford the hobby prices even the value packs are high prices. 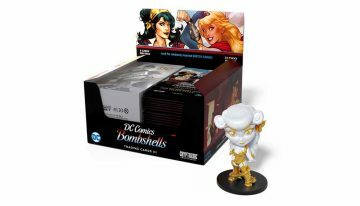 I think the blaster boxes for 19.99 and the other thin boxes that sell for 70.00 dollars are rediculous in price. 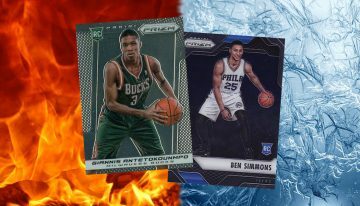 The 2018 so called completed sets one has the All-Star players and the other one has not. 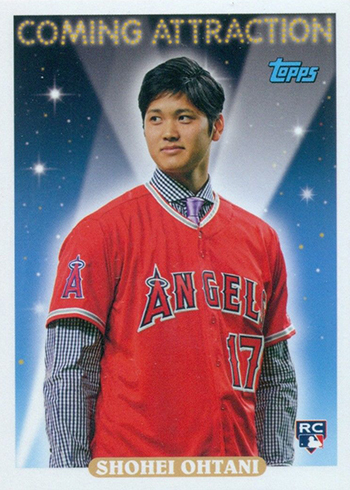 The Topps market flooded the card market with new alteraturnitive blaster boxes of baseball players this year too. All I have to say choose wisely because Panini is not to far to take over the baseball market. No Love for the tigers again this year ! Same with every set this year DK was worse thogh, No Living Tigers for base. 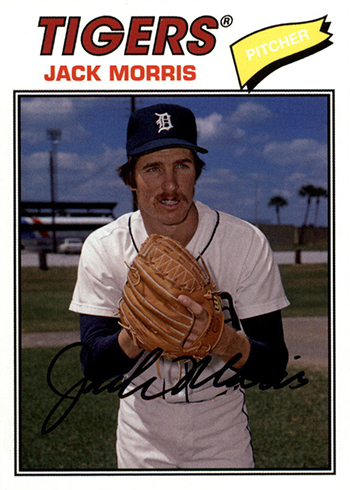 Can’t understand why No Trammell or Morris . Even if they picked them a while ago ( Before HOF Induction ). 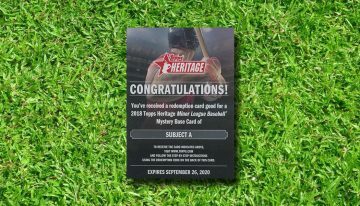 They better include next year or I might give cards up for a while. 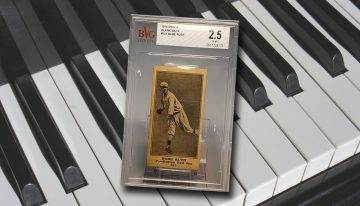 why is the sandy koufax rc card that has topps rc history in silver selling for so much money same w/ichiro that is silver ?